It has been a rough five months for Horseshoe Casino in Harrison County, Indiana. Since the opening of the Churchill Downs’ Derby City Gaming facility the number of visitors of Horseshoe Casino has declined, and so did the money flow generated by the venue. The new gambling facility of Churchill Downs has been using aggressive marketing campaign, mailing a variety of offers, including free slot play, hotel discounts and free meals, to its potential customers. According to figures released by the Indiana Gaming Commission, the amount of wagers kept by the Horseshoe Casino declined by 10% in the period from September to December 2018 in comparison to the result reported a year earlier, reaching $77 million. Apart from the new competition for the casino situated in the southern part of Indiana even occurred, it was a rough 2018 for the Horseshoe Casino. The overall activity of the venue, including taxable revenues, win, and the amount bet on the facility’s electronic gaming machines and slots declined by 34% in February, at the time when the casino was shut due to flooding in the period from February 22nd and March 4th, 2018. 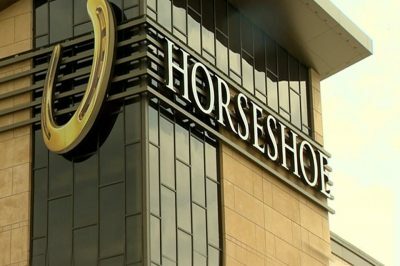 Still, as mentioned above, the Horseshoe win fell by 10% in the period from September to December – a decline which surpassed the casino’s 2018 full-year drop of 8%. The casino industry in the state of Indiana has not fully recovered from the massive financial crisis, which according to market analysts, is due to the new competition posed to the venue by the new competition which emerged in Ohio and Illinois, and by a Indian casino which started operation in South Bend in 2018, as well as to an ageing customer base in the region. Currently, there are 13 casino venues which are run under an operating license issued by the state of Indiana. The Horseshoe Casino, however, was the worst-performing one year-on-year in 2018. The overall win of the 13 state casinos remained flat at $2.2 billion, while the coin-in to slots fell by 2% only, reaching $20.2 billion. Horseshoe’s reported coin-in amount generated by slots and video games declined by 10% for the full year 2018, while in February and March 2018 it fell by 34% and 13%, respectively. In 2018, the Horseshoe Casino, which operates as a unit of the American gaming corporation Caesars Entertainment Corp., started the construction of an $85-million land-based casino that is set to replace its riverboat operation which has been available for about 2 decades. 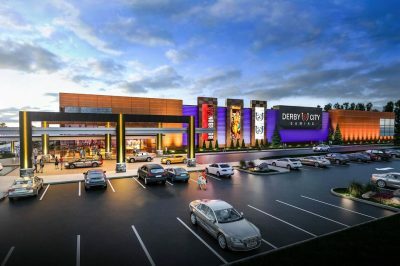 The expansion, which is situated on 100,000 square feet and will offer a variety of entertainment, retail and dining options as an addition to the Horseshoe Casino, is set to open later in 2019. On the other hand, despite emerging as considerable competition for the Horseshoe Casino, the Derby City Gaming’s business still remains small compared to its larger rival across the river. 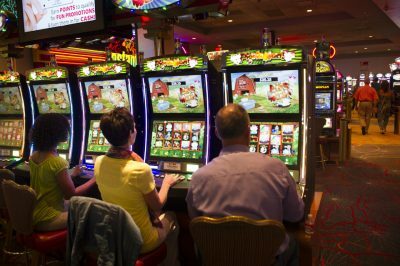 Currently, the “historical racing machines”, which look like slot machines but are used for betting on horse races, are the only type of casino-like games which can be legally offered by the Derby City Gaming facility. According to the Kentucky Horse Racing Commission, the total amount of the bets placed in the machines was worth $152 million in the period from October to December 2018. In comparison, the amount bet on slots and electronic gaming machines at the Horseshoe Casino was estimated to $488 million at the time. For the time being, casino gambling still remains illegal in the state of Kentucky. However, back in 2010, the Kentucky Horse Racing Commission gave the green light to racetrack owners to offer so-called instant racing machines, with their number currently amounting to 2,700 at Derby City and three other locations in Kentucky.